I've mentioned before that we like to use yogurt instead of sour cream as a topping for baked potatoes and things. I think it tastes just as good, and it's a great way to leave out some unnecessary calories and fat. This dip applies the same principle. Some low-fat yogurt makes a great base for a snack dip without losing much flavor. We didn't see a non-reduced-guilt version of this product in the store, and we both agree they don't really need to market one. As far as the "spinach and kale" aspect of it, it's rather tasty. Of course, neither Sonia nor I could tell you what exactly kale is supposed to taste like. I'm pretty sure it's seaweed... Oh that's right, we did have it once before. But even so, I'm gonna go ahead and say that you could just leave the kale out of the ingredients and very few people would notice the difference. Spinach would have done just fine. 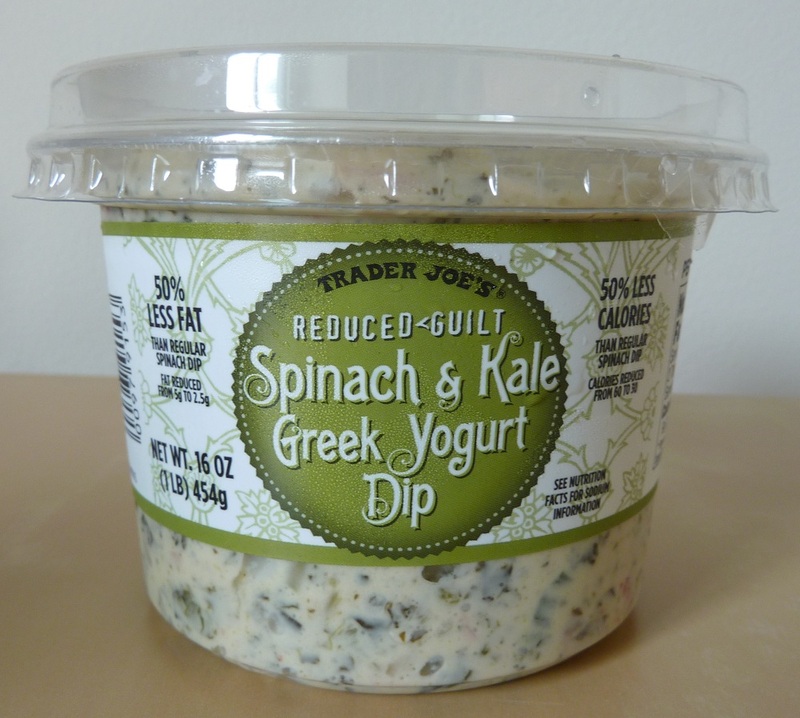 Although, "spinach and kale dip" sounds far more exotic and worthy of a purchase to easily-impressed consumers like me. And Greek yogurt is certainly having its day in the sun. 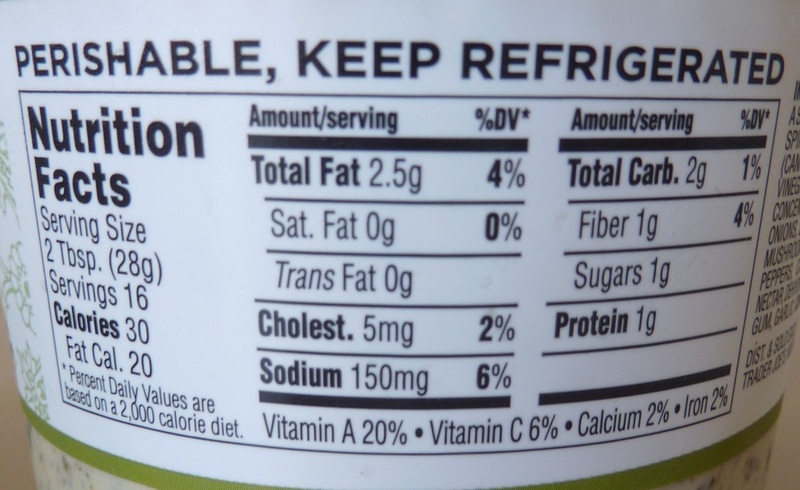 What with Fage, Oikos, and Yoplait pushing their Greek style products as the next healthy snack food craze—and even companies like Ben and Jerry's getting in on the action, it's no wonder TJ's is pumping out a few Greek yogurt type products. I myself have mixed feelings about the stuff. I have to assess it on a product-by-product basis, and in this case, it's a thumbs up. All in all, it's very creamy and a little spinachy, with a hint of spices and zestiness. I would liken it to a cold version of a good restaurant-style spinach dip. It's really yummy, if you like that sort of thing. Fortunately for this product, both Sonia and I do. Four stars from Sonia. Three and a half from me. Kale is a type of cabbage (http://www.whfoods.com/genpage.php?tname=foodspice&dbid=38). It's rather tough on it's own, but if you steam it for a few minutes--or better yet, bake it to make kale chips--it's delicious. It's nice to see a spinach dip that isn't the overdone (IMO) spinach + artichoke combo. Thanks for the info Harvin!. 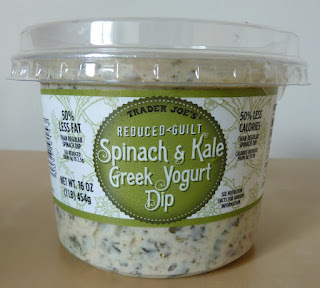 Nathan and I really enjoy this dip, looks like it's a popular item with TJ fans. I have to try this! I love Greek yogurt and also like to substitute it for sour cream. Thanks for the recommendation! Thanks Sharon! I think you'll enjoy this product. some say, you should massage your kale, taking care of the toughness problem. I like this dip and I'll leave the massaging to TJ. I don't know where you live, but here in So Cal, Kale is the most popular green at the moment and can be found everywhere. No, it is not seaweed. As Harvin states above, it is a very dark green kind of cabbage that can be eaten raw but the trick is to chop it quite fine. It makes an excellent salad that holds up well without wilting. We can see Kale being popular in So. Cal. We'll have to try it in salads per your recommendation. Thanks Cindy! I like to use this dip as topping on an everything bagel thin. Tasty! I liked this with pita thins as well as "entertaining" crackers, and it was great with both! I am happy to see kale getting wide-spread love! 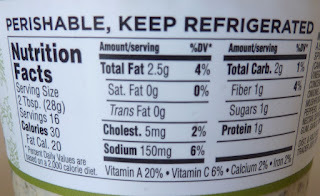 I used it as pasta topping - like kale/spinach/alfredo but with yogurt sauce - quite delicious. Love this dip with pita chips! 1) Scrambled with an egg (seriously, try it). Just mix 1 egg with 1 tbsp of the dip and scramble in a non-stick skillet. 2) Spread on a trader joe's spinach flour tortilla with a slice of turkey, rolled up and sliced into pinwheel sandwiches. I used to do this with veggie cream cheese, but it's way tastier (and healthier) with the spinach kale dip.